North America more in "Manchester Village"
When the snow falls at the Equinox the excitement begins. Go cross-country skiing or snow showing through beautiful wooded trails and enjoy the thrills of snowmobiling. 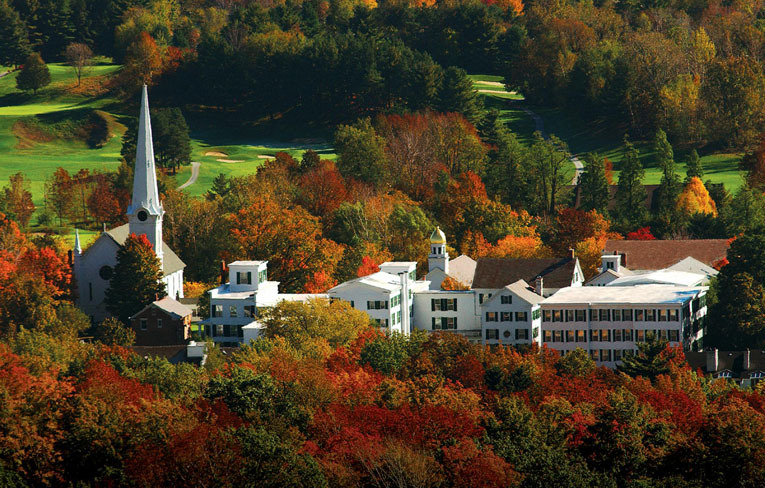 Nestled between the Green and Taconic Mountains, you'll find a calming sensation upon arrival at our beautiful Vermont spa. 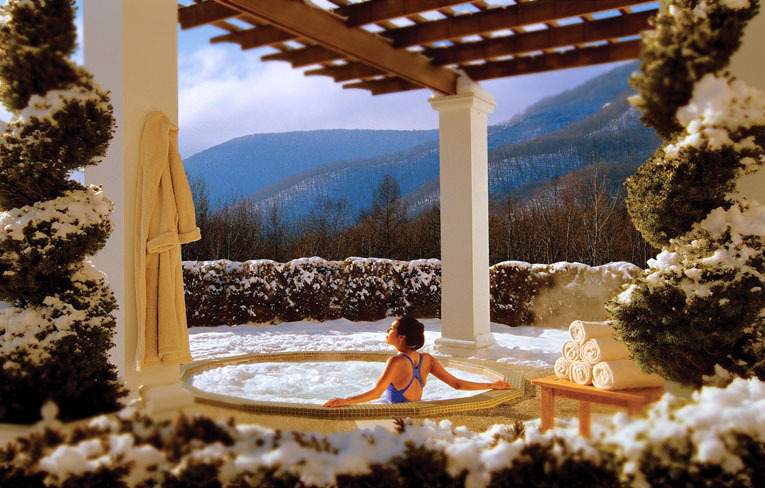 Treatment here reflects that calming energy of Vermont. Eating and drinking at the Equinox is an extraordinary experience. At the new Falcon Bar, enjoy gourmet chocolates and locally-sourced cheeses paired with an extensive wine list. The Archery School at The Equinox provides a rare opportunity for guests to learn this ancient sport under skilled supervision. Archery has garnered a loyal and dedicated following as a leisure pursuit. Known in various times in its illustrious life as the Marsh Tavern, Thaddeus Munson's New Inn, Widow Black's Inn, Vanderlip's Hotel, The Taconic, The Orvis Hotel, and Equinox House, Equinox today stands as a symbol of the history and lifestyle of New England over the past two centuries. Take a trip back in time to review Equinox's rich history. The Equinox offers a wide variety of accommodations with 195 rooms and suites in five unique buildings. 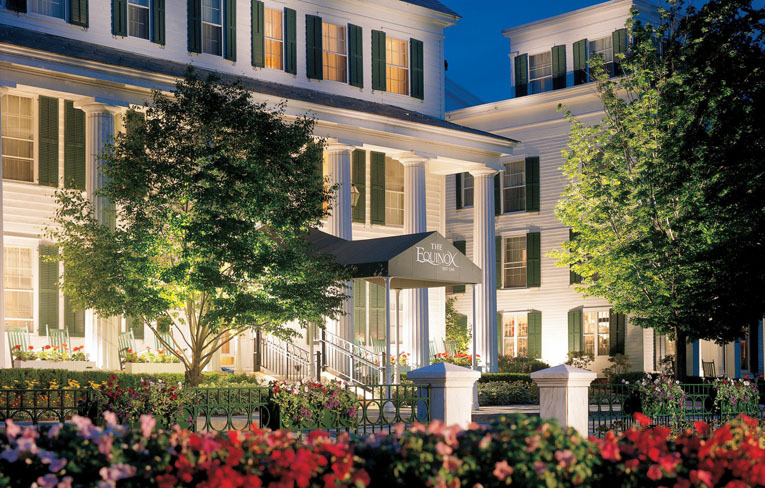 The Equinox main hotel and Charles Orvis Inn offer newly renovated rooms with subtle yet elegant décor in a soothing palette of earth tones, harmonizing country charm with modern sophistication. 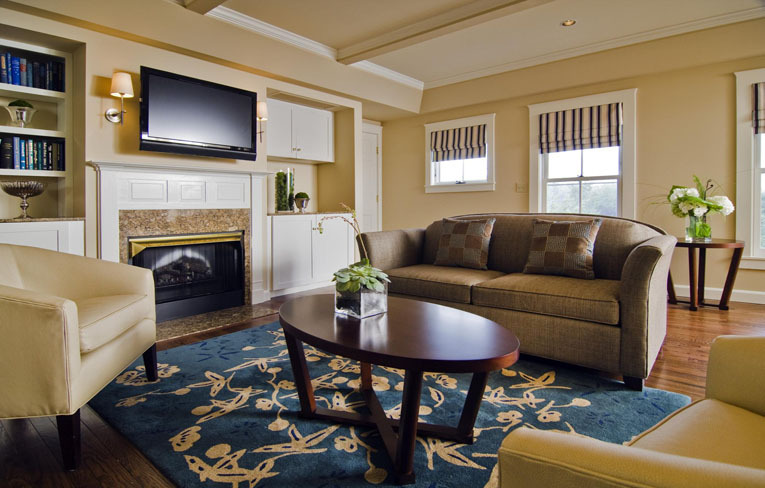 The Charles Orvis Inn features premiere suites with fully equipped kitchens and fireplaces. 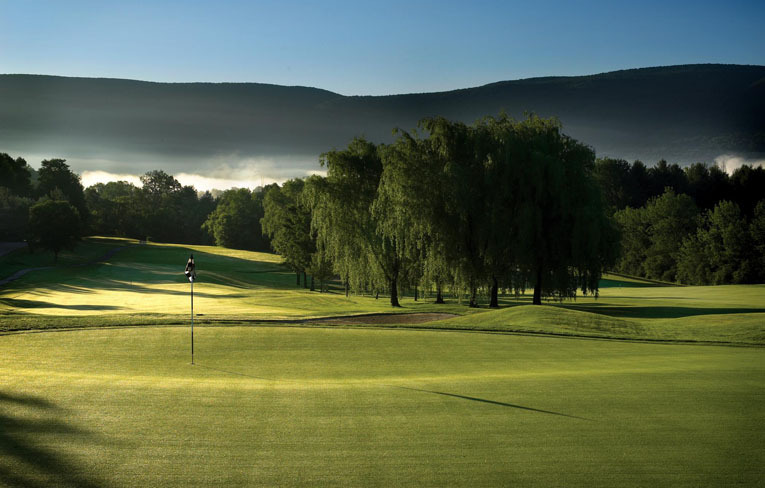 Enjoy crisp mountain air and spectacular views of the surrounding mountains at this par-71, 6423-yard Vermont gem of a course, which boasts challenging play on every fairway, bunker and green. Enjoy the mountain views as you lounge by the 75-foot heated indoor pool or relax in the outdoor Jacuzzi. Take a class in the movement studio or use of the equipment, which includes Cybex, free weights, and a variety of cardiovascular equipment. 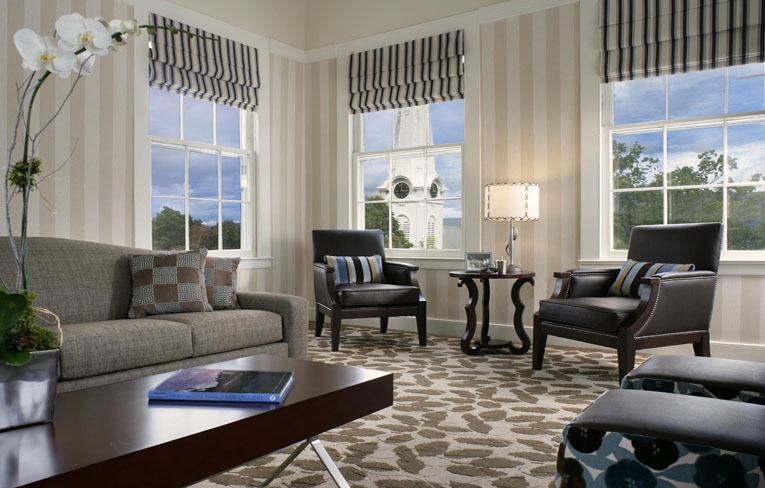 Or curl up in a window seat while you sip a refreshing beverage or gaze into a Vermont stone fireplace. 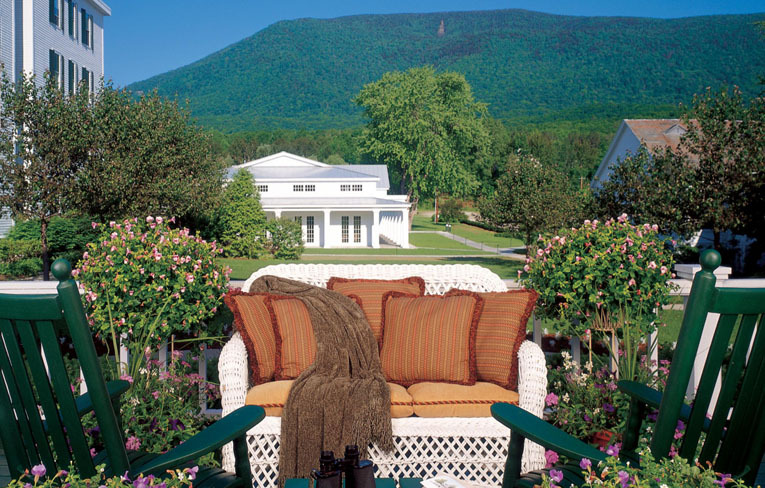 Let the pressures of modern life fade away while you enjoy the pleasures of total relaxation and rejuvenation in the picturesque Vermont countryside. Your senses will be awakened and your soul soothed at The Spa at Equinox, which offers a comprehensive menu of massage therapies, facials, and body treatments. In its early days, it was the exclusive playground of the rich and famous. The Equinox still serves, as it did then, as the centerpiece of this elegant and affluent village. Everything in Manchester Village is well manicured and pleasing to the eye, and includes several very impressive dining establishments. The Southern Vermont Arts Center is also more than worthy of a visit. If it's shopping you're after, head to Manchester Center, where a host of upscale retailers await.